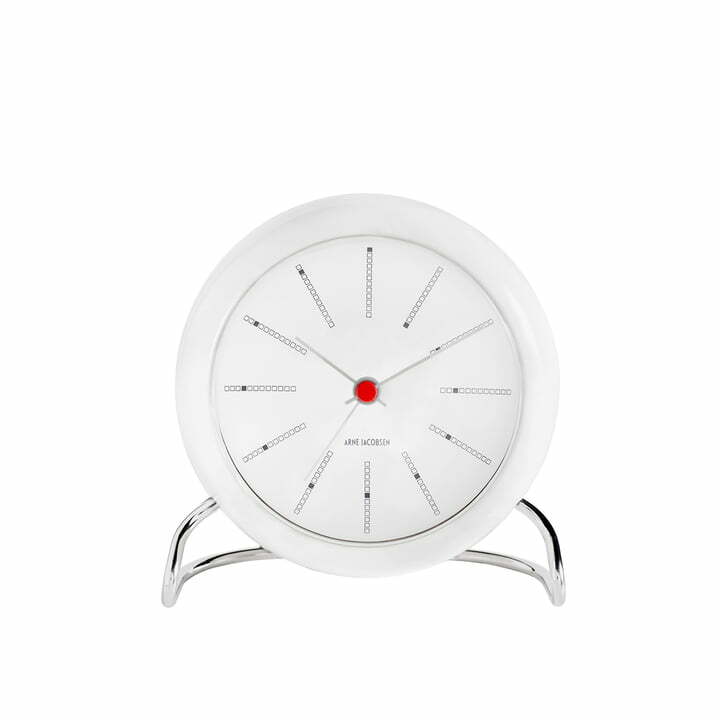 The Arne Jacobsen wall clock classics are back – and now also available as a table clock! Arne Jacobsen is probably the most famous Danish architect and designer. Legendary furnishing designs made Jacobsen well known far beyond the borders of Denmark. The results are three legendary clock classics that originally decorated Danish buildings. The reproduction by Rosendahl was not limited to the three wall clocks: parallel motifs were also launched as clocks with alarm function. 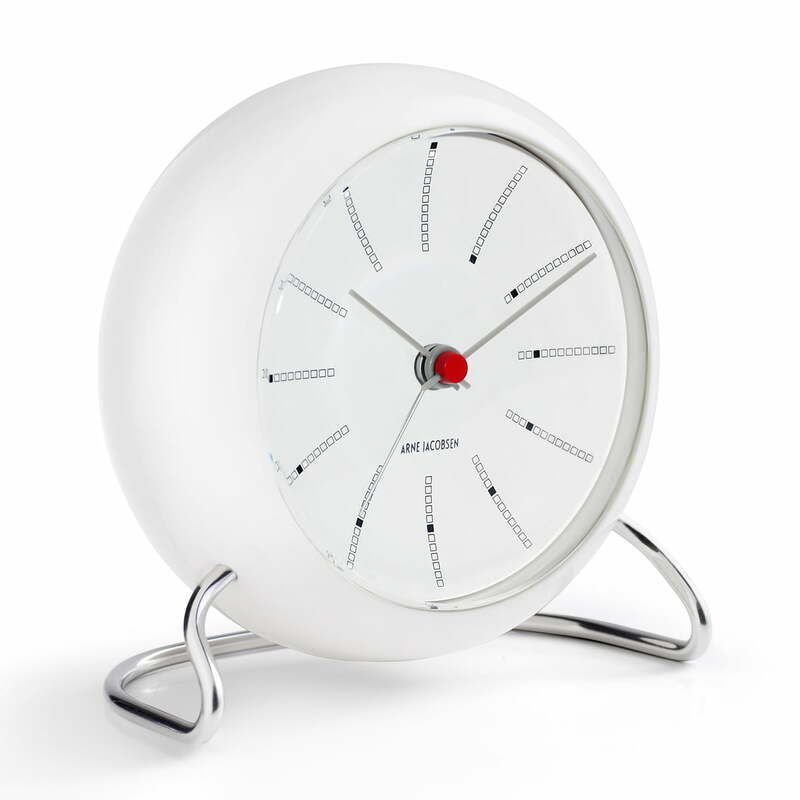 The Bankers clock by Arne Jacobsen was initially designed for the Danish national bank building in 1971. The most recent one of the three designs shows an abstract dial with bars (sub-divided into twelve segments). Instead of conventional numbers, the filled out segment indicates the hour. This creates a spiral-form construction from one to twelve o’clock. The clock case of the Bankers table clock by Arne Jacobsen consists of ABS-plastic and shock-resistant glass. The foot is made out of metal. 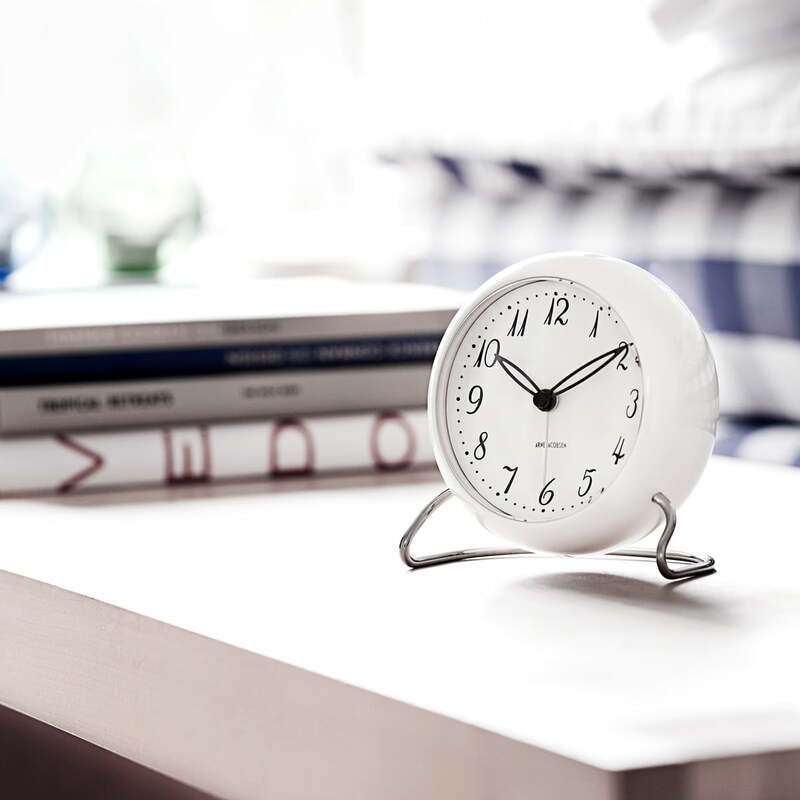 The alarm clock is equipped with LED-illumination and a snooze-function. Other versions of the alarm clock (with different dial-patterns) are also available.